Earlier this year, my friend introduced me to homemade kombucha. I have to be honest, at first I told her, 'Not a chance, I'm a wheatgrass girl and kombucha is way to much like vinegar for me.' After she convinced me to try a sip, I was instantly hooked. Homemade tastes nothing like store bought ... duh! After about a week since I had my first sip, she gave me a SCOBY and my homemade kombucha life started! It's only been about 6 months, but I have since given daughters out to about 5 others so they can start making their own. The kombucha family is growing! My mom, who has chronic joint and back pains, is hooked (and has noticed a little improvement). There are so many benefits of kombucha. It really is quite the health elixir! 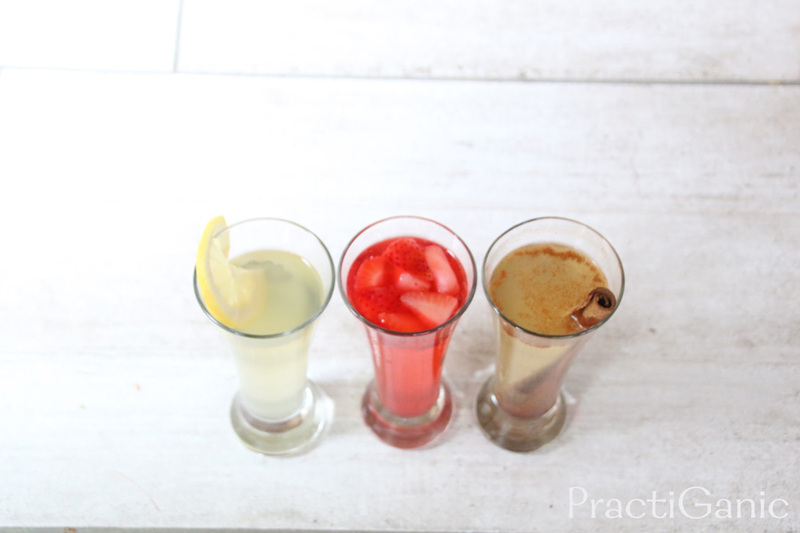 There are so many ways to make kombucha. I do a continuous brew. My one gallon container makes about 5-6 16-oz bottles a week (in the summer it was 3-4 days because my house was so hot and and kombucha fermented faster). It takes about 15-20 minutes every time I make a batch. Even in the crazy busy months, it is so worth it! 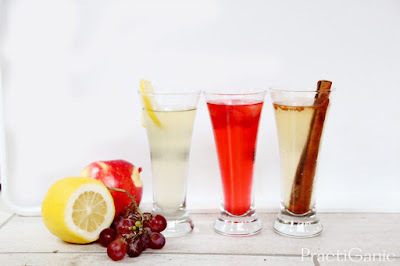 During my short time as a kombucha brewer, I have tried so many combinations of fruits and herbs with the change of seasons it's been a great little flavor adventure. With fall now here, I have been completely obsessed with apple cider and chai flavored kombucha. I decided it was high time to share with everyone all the amazing flavors that I have grown to love. Please remember, when doing a continuous brew, you always want to add the flavors to your secondary fermentation so that you don't effect your SCOBY with any of them. If you have ANY questions, please ask. I'm not an expert (yet), but together we can find the answers! Berry-Craze! Blackberry, blueberry and strawberry ... oh my! If you're using frozen fruit, you generally don't need as much as fresh for the flavor to really permeate your booch. The flavor grows with everyday that it is in secondary fermentation. 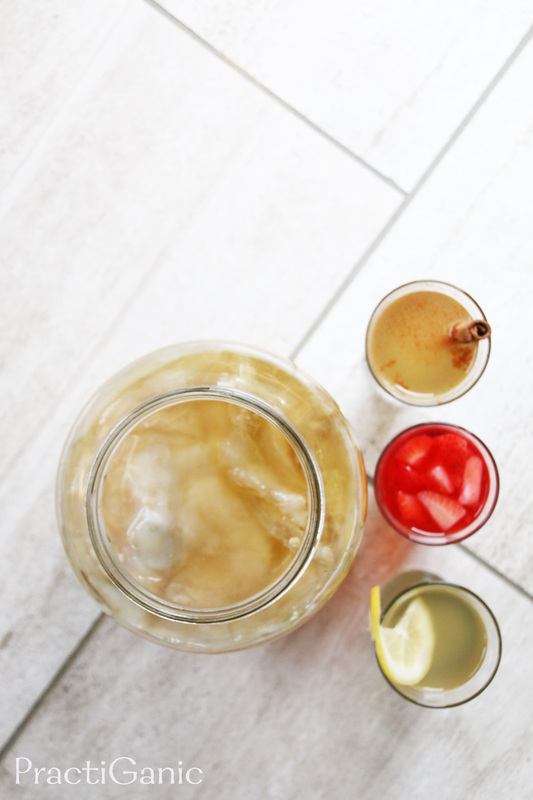 There are tons of places to get your own SCOBY and start brewing. 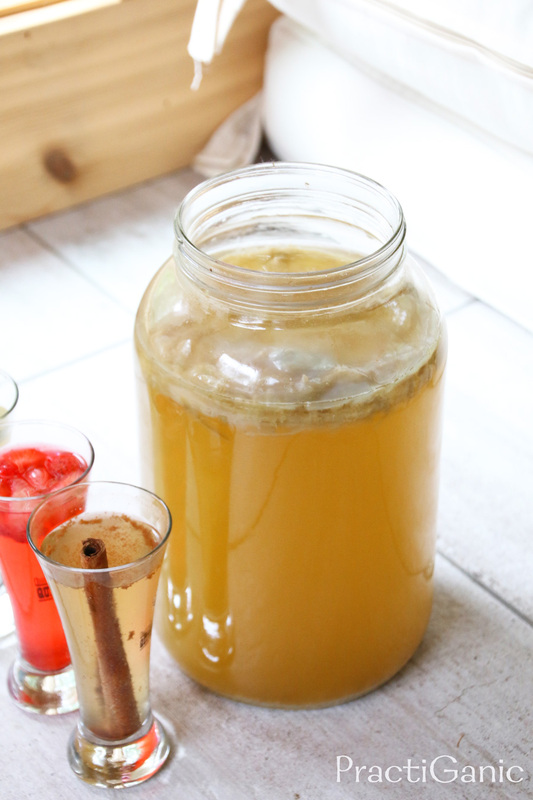 If you buy store bought kombucha, start saving money and start brewing. You won't regret it! Remember, the best things in life are homemade. My friend got hers from Kombucha Kamp. Their directions were super easy to follow and both of our SCOBYs are stronger than ever! Thanks so much! Since it is true confession time ... I have used store bought crushed tomatoes too (especially in the winter when you can't find a good tomato within 300 miles of my house)!